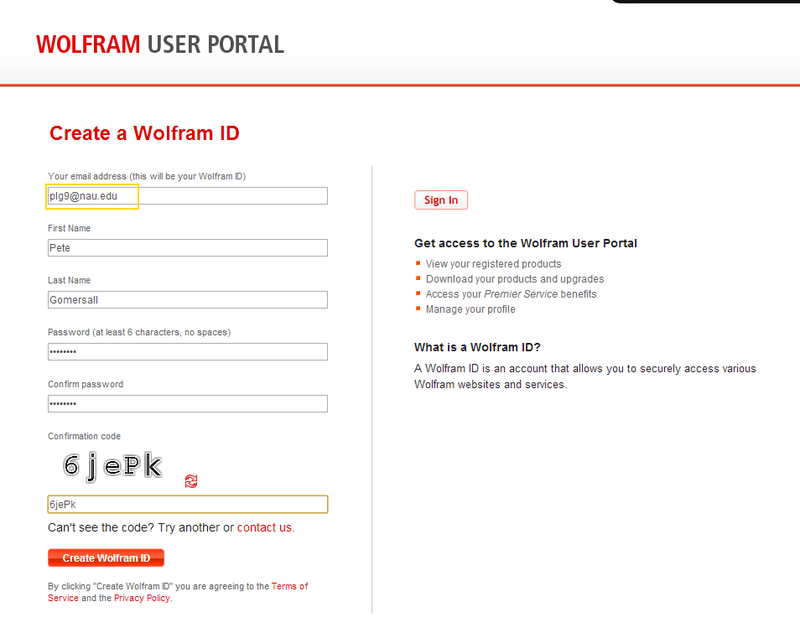 Students at NAU can now get full copies of Wolfram Mathematica for personally owned computers by following the details below. Please read the instructions on this page carefully! 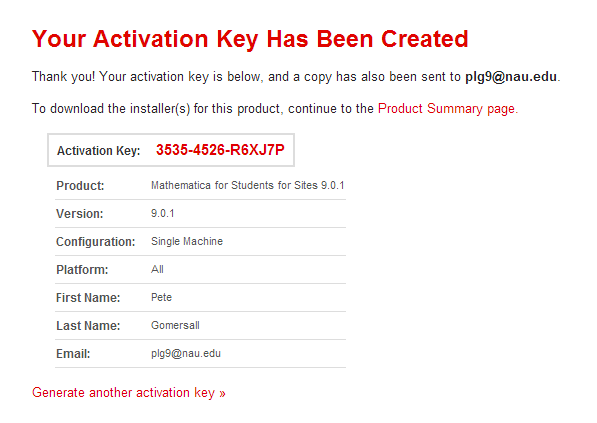 The activation key won't be entered anywhere (I know, weird). Log completely out of your account. 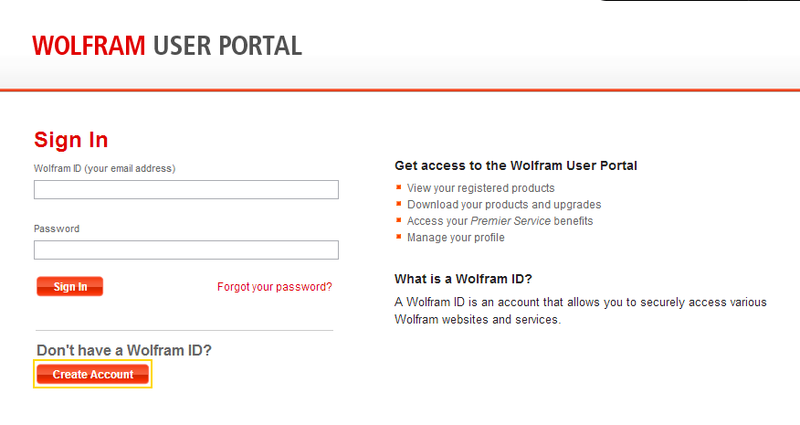 Now log back in. 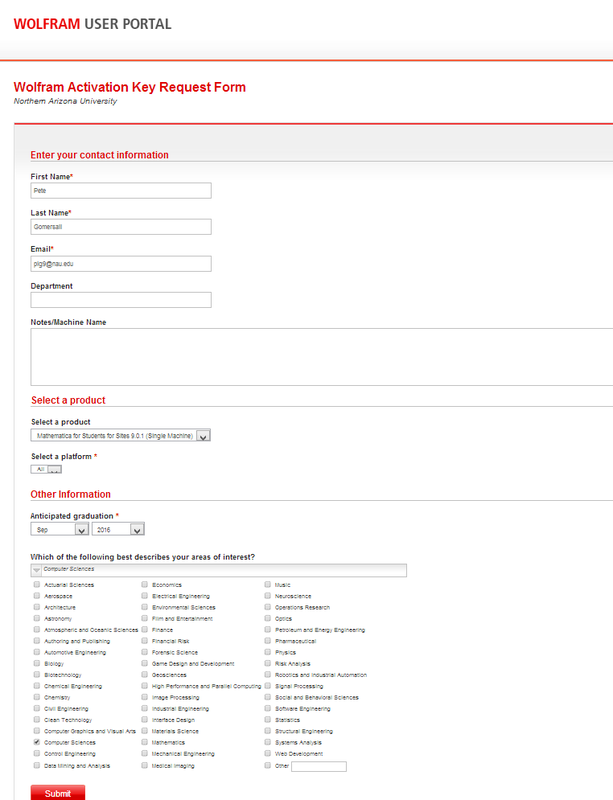 When you view your products and services that activation key that you requested will be available. 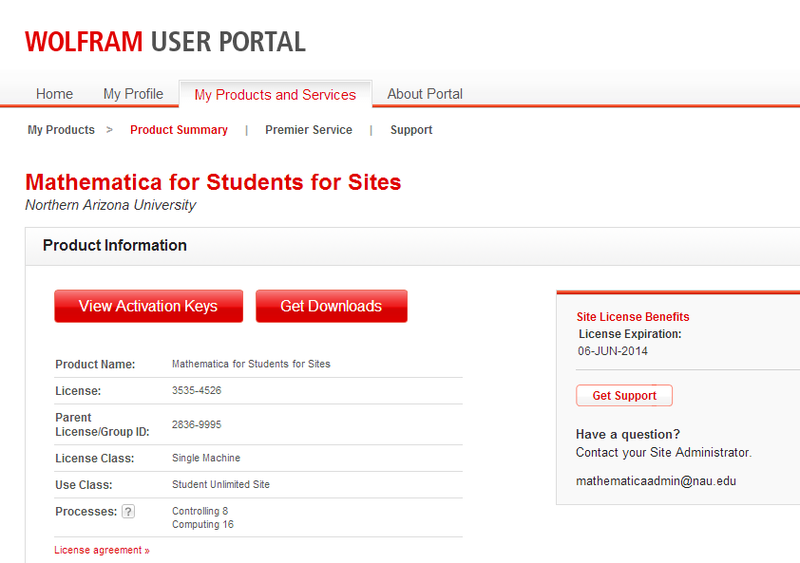 Save the activation key and download Mathematica (Windows, Mac and Linux versions are available).